If you have been following me on twitter or facebook you have had to of seen me talking about "The Project". Many people have asked about it and I have been tight lipped to everyone but my very small inner circle. If you know me or of me, you also know that Pro Wrestling is not a hobby or a job or anything less than a way of life for me. I was born with the sickness in my blood and will have it till I'm six feet under. I started in Pro Wrestling at 14 years old with only hopes, prayers, and dreams. 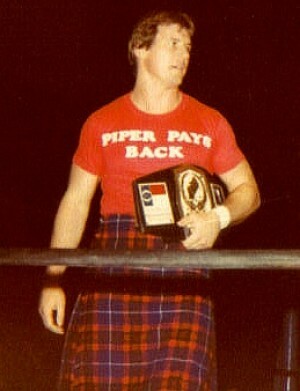 I have gotten to work with and know all of my childhood heroes but a couple one being "Rowdy" Roddy Piper. Growing up here in Northeast Tennessee I was able to watch not only Memphis and Southeastern/Continental but also Mid Atlantic Wrestling. I spent many Sunday afternoons going to live Mid Atlantic matches in Kingsport. When "Hot Rod" came along we had never seen or heard anything like him. When my friends were calling him a sissy for wearing a dress (kilt) I was cheering for him. His feud with Greg Valentine was brutal. Many have tried the "Dog Collar Match" after them but none came close to what they did. 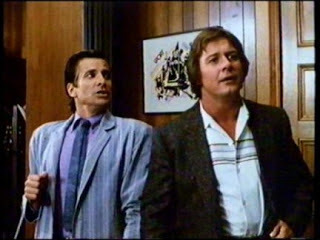 When a little movie called Bodyslam came out in 1986 I was sure to see it because Piper was the star. The movie is about a small time promoter and his little group of bands and wrestlers trying to make it big. They travel around in an old bus wrestling and doing concerts anywhere that will let them set up. I have always wondered could that really be done? Could you make a living doing it? I know you would not get rich but could you pay your bills and have some left over to put into saving and live another day? I have been a gambler all my life. Everything I have made or lost is because I took a chance. Next Wednesday June the 5th 2013 I take the biggest chance of my life. In the past decade I have crossed the country six times. Stopping and talking to buildings, wrestling commissions, non profit groups, newspapers, radio and TV stations. I have stayed in touch with many of them over the years. During the Holidays of last year I started mailing hundreds of brochures out across America to arenas, County and State Fairs, and any group that needs to raise money. In days after mailing out I started sending emails some 300 plus. I have made over 200 phone calls. In fact still making them and people calling me (some I did not contact). It did not take long for people to respond. By March I had enough towns to make a tour. Every Friday when Misty and I mailed out our brochures we along with family members laid hands on them and prayed. I have had a calling to make this trip for a long while. Wrestling is taking me but wrestling is not the reason I'm going. I'm a man of Faith. I pray every night when I lay down "Lord if this is not you stop me, and stop me now". Every morning I get new emails or calls with good news. I had a crew in mind for this and one after another for different reason could not do the tour. After a few days I just stopped talking to people I prayed Lord send me the men I need you know who they are. One by one in a matter of days fell into place and joined. I have a group of great young wrestlers, myself, and two other 20 plus year veterans. All are guys that I respect and always show me respect. People who I enjoy being around. We are still tight lipped on where we are going. I am keeping it like that on the down low. The wrestlers do not even know the full list of towns. I will tell you this in the next month we will be crossing several states. I have not turned down a building that has call that have the facilities to hold us. In many towns the people putting the matches on are Mayors, Chamber of Commerce Members, and other pillars of the community. Matches will be held in everything from horse arenas, elementary schools, community centers, civic auditoriums, and anywhere we can set up. We will be raising money for town libraries, Relay for Life Teams, Little Leagues, Fair boards, and other civic groups. Three cameras will be following up around to document the tour. It will be made into a DVD later this year. We are in the early stages also to pitch it as a Reality Show. Misty, a close friend of ours, and I have funded all of this so far. We did not do a kickstart or any kind of program like that because I have always lived and died by what I make as a wrestler, and the last three years from my books. I ask anyone who reads this to add me and my nine Warriors to your prayers. Also pray for our families and homes as we are gone. We need all that we can get. If you fill lead to help us I could use some more Bibles I have two cases to hand out but we will be seeing a lot of people. If you want to support us in other ways it's real easy. Go to the top right hand of this page and buy a book or two. Each book you buy today supports a few men chasing a dream tomorrow. I have many of my 2nd book here and a shipment of first books coming in first of the week. I will sign many and leave here for Misty to personalize, sign and ship for anyone who buys them the next 5 weeks. The tour starts this Saturday for me and Jake in Rich Creek,VA. Wednesday the bus and most of the boys leave Tennessee at 5pm. Jake, two others, and myself will be leaving after the event at the Fair in Wise,VA. I will be away from my wife for a few weeks. Since we got married we have only been apart a day or two. I will be missing her like crazy. My Mom is fighting cancer and having surgery Monday. I will be calling here every day. I will be checking in with my sisters, Dad, nieces and nephews every chance I get. I have always had them right along side of me to help. Wrestling is our family business. This time out its me and nine Warriors against the world. We are going to hit the road because brother believe me it hits back! PS a HUGE thank you to all the men and women who have been helping us promote the towns, booking us in your towns, and being so kind to us.